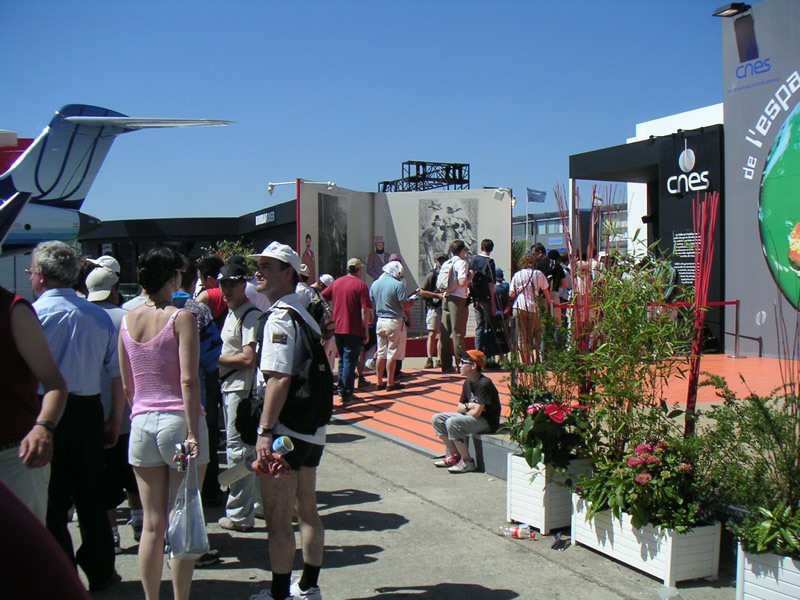 The 46th Paris Air Show has been a great success for CNES. The agency held many meetings during the one-week event, strengthening its partnership ties with industry and foreign space agencies. And with the On Earth, in Space exhibition, CNES reached out to the public, detailing its activities and showcasing its main missions. The response from visitors was enthusiastic. 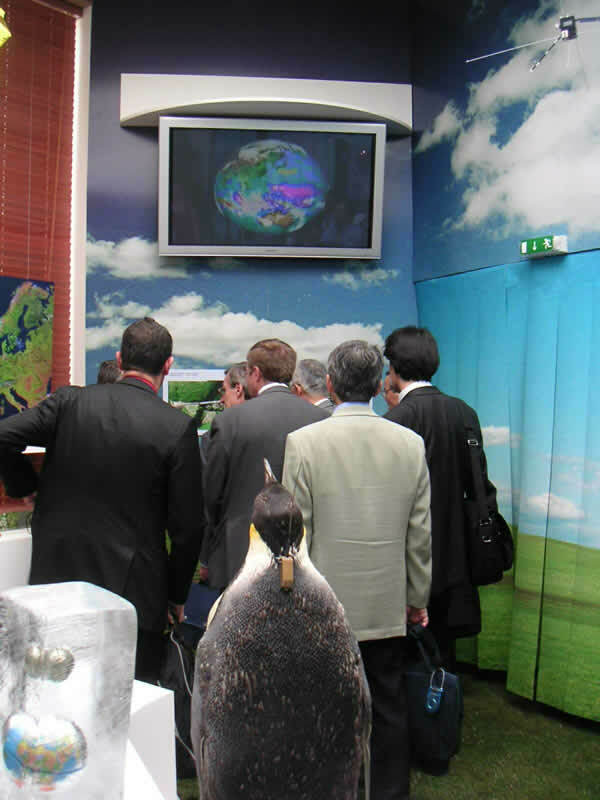 Throughout the week, the CNES pavilion at Le Bourget received more than 11,000 visitors from the aerospace industry and public. The first days of the Paris Air Show were given over to trade visitors. The CNES pavilion was well attended, with visits from French President Jacques Chirac and several ministerial delegations. The show also provided opportunities to meet representatives from foreign space agencies and establish new partnerships. For example, the Brazilian space agency AEB and CNES signed an agreement on 14 June to work together on development of the COROT mission. The latest France-Japan space symposium also came to a close at the show on 17 June. The delegation from the Japanese Aerospace eXploration Agency (JAXA) paid a visit, signing an agreement with CNES on future cooperation projects. The third highlight of the trade visitors’ days was the signature of a partnership agreement covering development of the new Alphabus spacecraft bus for high-power satellites. CNES is working on this programme with ESA, EADS Astrium and Alcatel Space. 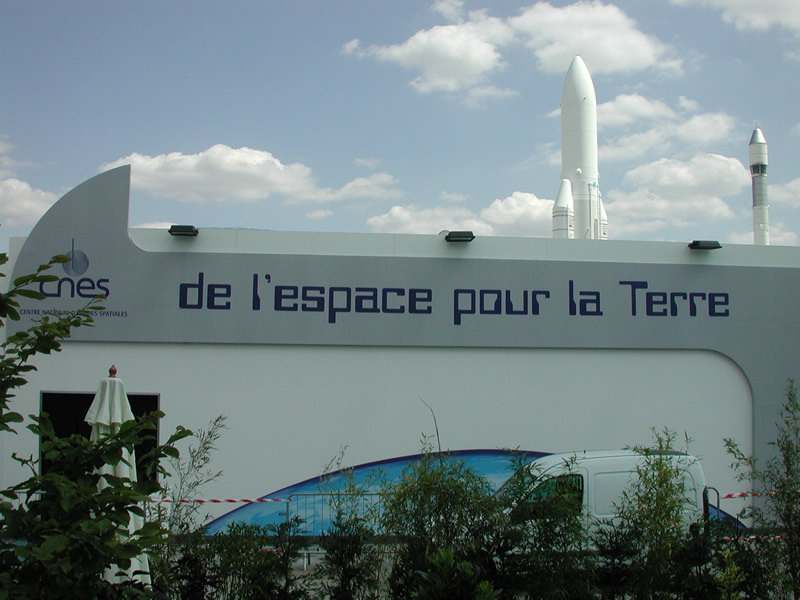 CNES’s On Earth, in Space exhibition was a big hit, attracting some 11,000 visitors and reaching out to the public with its informative approach. The clear and concise presentation of CNES’s missions and the exhibition’s interactivity and appeal to the senses were much appreciated. Alongside the pavilion exhibition, CNES also had a booth devoted to training and career opportunities at the agency to answer students’ questions about internships, jobs and grants.